Before you begin a new C++ application I suggest you create a new folder somewhere and call it something like C++_Applications. This will serve as a repository for all of your code. Visual C++ Studio offers several standard design templates for your solutions. In this post, we will be using the CLR Console Application. MS Visual C++ provides several types of projects that you can create. In this tutorial we are just going to create a small CLR Console Application. This means that we will be interacting with our application via the Windows Console. Later we will be creating Class Libraries and Windows Forms applications which, in addition to coding, demands their own interface to be built. 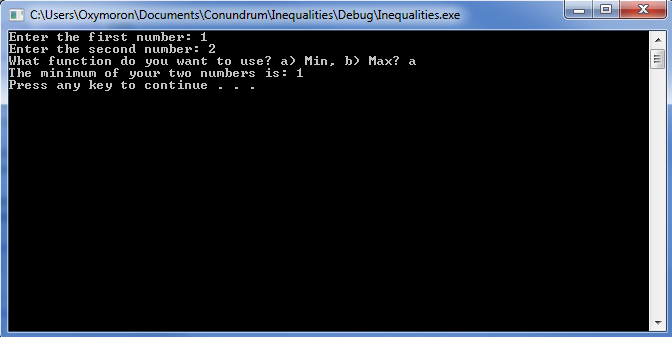 For this example we are going to create an application that calculates Inequalities. Click on the CLR Console Application and give it the name Inequalities. Change the Location to your C++ Applications folder that you’ve created. 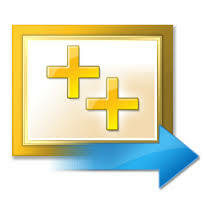 Click OK.
MS Visual C++ will now create the basic folder and subfolder structure in your folder. It will also create all the basic headers, dependencies, resource files, and source files that are needed for an application to run. 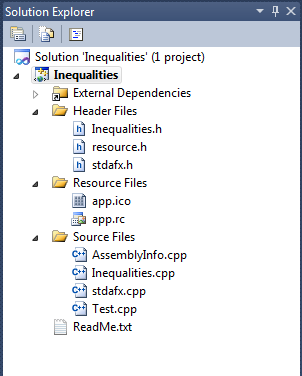 Since we are building an application that calculates inequalities we need to add 2 new files: a Header File (to hold all of our Inequality Function declarations), and a Source File (to hold the code that runs our Inequality Functions). The Visual C++ Studio creates the standard file structure for your solution when you create it. Note the Header Files are kept separate from the Source Files. Note that it is okay to have two Source Files in the same solution, one for function descriptions and another one containing Main() which will use those functions. In this Header File we have written out the declaration of two functions, namely a Min function and a Max function, and they both take two arguments. To make this header consistent with our program we need to define these two functions in a Source File. // Inequalities.cpp : Code for what the functions in the header actually do. // The code for Test.cpp : Code for running/gathering input/interacting with console. and another Source Code File – containing the main() function for testing. The output showing that the solution (the collection of headers and source code) compiled successfully. Note that Visual C++ Studio also creates an executable file for you. If your solution build succeeds click the play button and the console window should pop up. 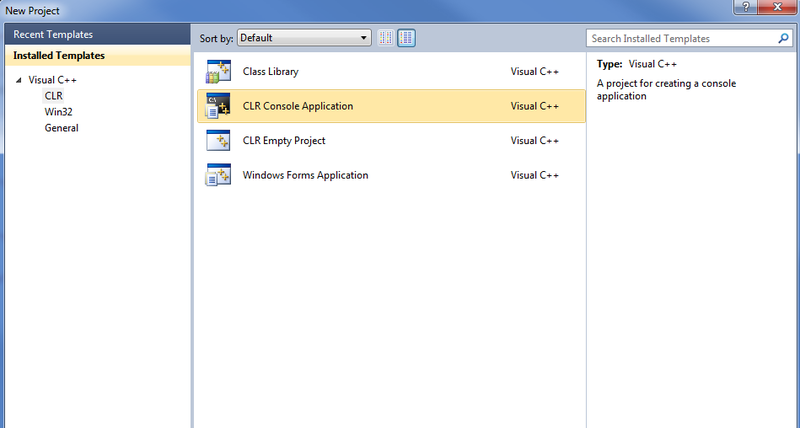 Visual C++ Studio Console Applications use the Windows Console as the User Interface. Interacting with this console/interface using keystrokes is done by using the methods of the library – “io” standing for Input/Output.